Wal-Mart is introducing the Fan Shop by Fanatics on Walmart.com. 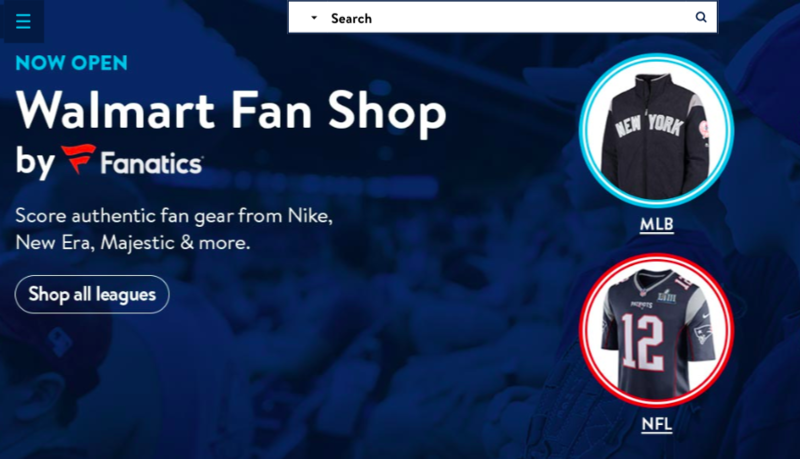 The 10-year deal will see Fanatics exclusively list hundreds of thousands of items within this specialty fan shop, accounting for all sports-licensed merchandise on Walmart.com. The site will offer hundreds of thousands of items from professional sports leagues, including NFL, NBA, MLB, NASCAR and MLS, and top brands, including Nike, New Era, Majestic and Fanatics. Products include officially licensed apparel, jerseys, hats, collectibles, tailgating items and novelty products. Fanatics holds exclusive licensing rights to produce and distribute merchandise for all major professional sports leagues, which will enable Walmart.com to quickly give customers access to the latest and greatest items for sports’ biggest events, including official fan gear for this weekend’s Super Bowl.